I took this image last fall after a heavy dew. 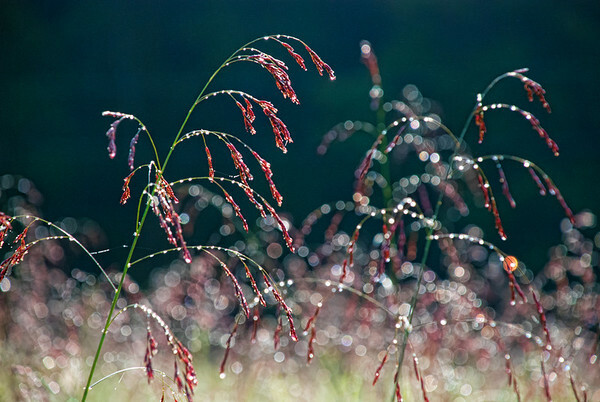 I loved the read tassels of grass on their green stems. I agree--this is magical! Great image!! Excellent DOF with great bokeh! What a delicate, and simply beautiful shot!